Playing in London for the first time in 15 years Ethio-Jazz sound pioneer Mulatu Astatke, plays an exclusive live date at Cargo. His backing band will be made up of the fantastic Heliocentrics (Now Again / Stones Throw), who also provide a support set on the night. Host and DJ Karen P is also very happy to be joined by long-time friend, Gilles Peterson alongside NYC’s legendary party purveyor Karl Injex. 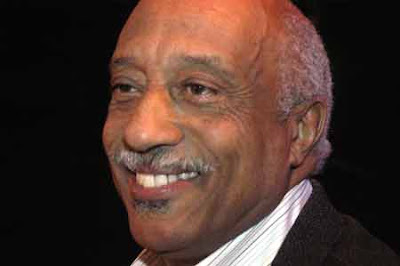 Born in Ethiopia in 1943, Mulatu Astatke is an innovative multi-instrumentalist, composer, arranger and originator of the Ethio-Jazz sound. 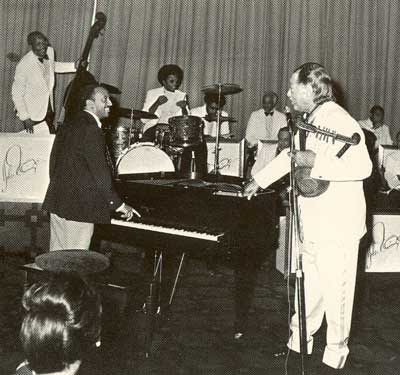 Having studied music in London and then the US, he established himself as a vital vibraphone, conga and percussion player on both sides of the Atlantic before returning to his homeland to introduce Jazz, Soul and Latin to Ethiopia’s native musicians and artists. Included in the now legendary Ethiopiques compilations, Jim Jarmusch’s Broken Flowers soundtrack, and much sampled by Hip-Hop and Dance producers alike, his sound will be familiar to many even if his name isn’t. These days Mulatu regularly lectures at Harvard and gave a memorable lecture at the Red Bull Music Academy in Toronto last year. Karen P’s Broad Casting is honoured to host Mulatu’s first UK performance in over 15 years.